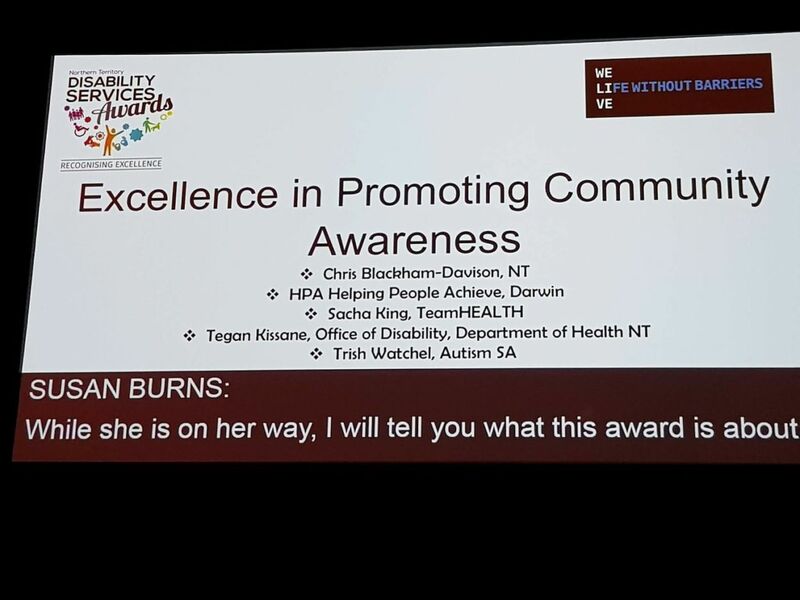 TeamHEALTH staff member, Sacha King received a Highly Commended Award for Excellence in Promoting Community Awareness on Saturday evening at the National Disability Services Awards. 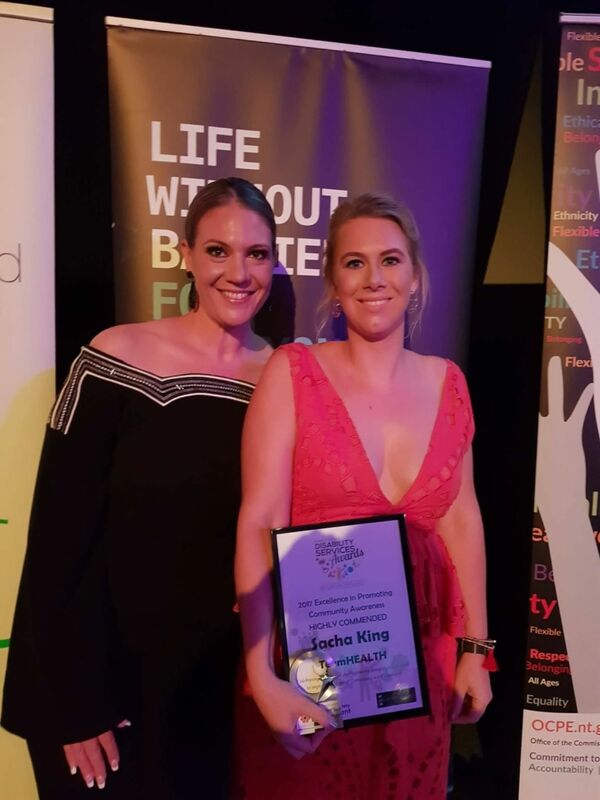 This award recognises the significant contribution that Sacha dedicates everyday to break down stereotypes and positively raise awareness of mental health in our community. 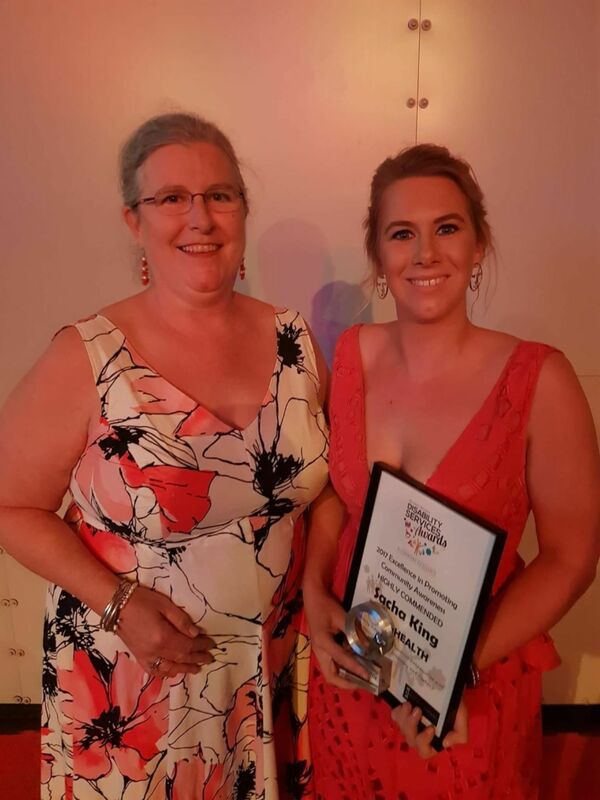 TeamHEALTH were also proud to sponsor the Emerging Leader Award and would like to congratulate the winner Felicity Faull from Henbury School. A big congratulations to all. TeamHEALTH - Supporting your mental health journey. We are a not for profit organisation that has delivered wide ranging support for people dealing with mental health concerns or mental illness for over 30 years. TeamHEALTH wish to acknowledge that we are on Aboriginal land. 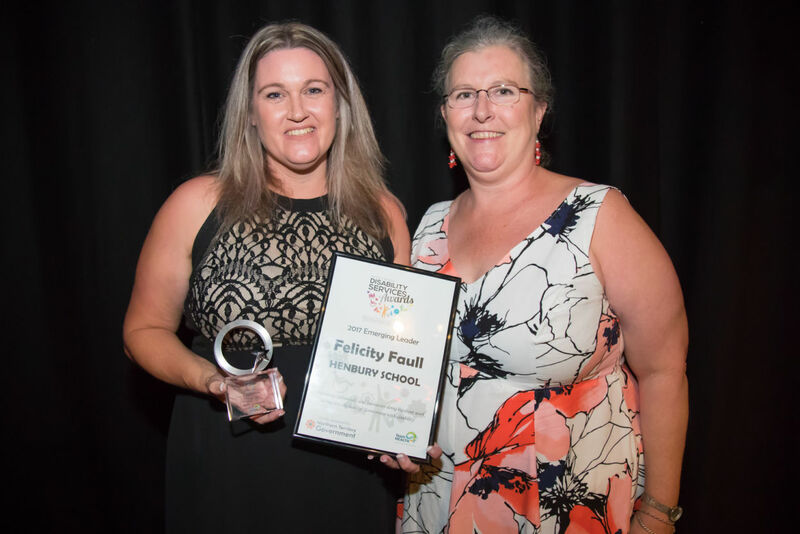 We pay respects to all traditional custodians. This website may contain images of deceased members of the Aboriginal and Torres Strait Islander community. They are used with the greatest respect and appreciation. If you require images to be removed please contact us.